Leadership Coach: The key to your long term success! An executive leadership coach is really that outside observer who calls you out on aligning your words match your behaviors. Hiring an executive leadership coach is the most productive thing that will ever happen to you. Most times, an executive leadership coach will take a greater stand than you would take for yourself. You say you want x but you’re doing y. So what I do, is I point it out. My provocation is to challenge you to what you want, and help you get there faster. Some people have the impression that companies hire an executive leadership coach come in to either fix one problem, or an executive and then leave. This is truly not the case. When you hire an executive leadership coach, you begin the journey of the most important business relationship you will ever have. Executive leadership coaches are invested in the long-term performance of you, your team, your organization, and your mission. You see, when it comes to the development of leaders and organizations, there isn’t a simple cure-all prescription. Executive leadership coaches know that developing organizations into leaders in their industries takes time, strategy, effort and the requirement of going all-in. Executive leadership coaches are committed to developing you and your team as a leaders with unlimited potential. As an executive coach, I get the opportunity every day to provoke diverse teams, executives and companies in San Diego and around the globe become the best at what they are already good at. The one similar thing we all want, is to be better. We want to be more effective in our jobs, build better relationships, and live better lives. We can only become as good as we can be on our own, and then it takes others, like executive leadership to help you move beyond our current potential. That is where I work, in the land of provoking you to your full potential. As an executive coach, I have the ability to see you from an outside perspective, and help you see your next steps, and even things you might be missing. 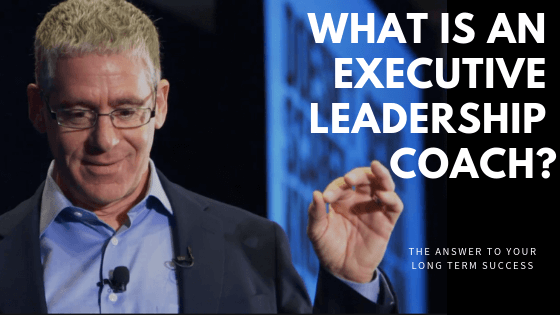 What does an Executive Leadership Coach do? When you embark on a journey with an executive coach, you will increase your self-awareness, develop new strategies, and get all the help and support you need along the way. Coaches spend time with you one-on-one or conduct team sessions to assist in a set of goals that has been created and help develop ways to overcome barriers to the success of those goals. NLP, also known as ontology, is the branch of philosophy that studies being. As we study the question, “what is it to be human?” we really learn how to become better leaders of our fellow human beings. It is the basis of ontology that we need to always take into account, which is to never lose sight of the human condition and remembering the deep call we all feel for authenticity and the courageous path necessary for its fulfillment. Executive coaches help you really see your strategy on leadership, collaboration, culture and accomplishing goals. Everyone leads with their own strategies, and every strategy has its own success rate. Strategies are followed through by sets of behaviors that also need assessed. Certain behaviors can have certain long- and or short-term side effects that can impact others and either leverage the success of their strategy, or inadvertently crush the potential of that strategy. Executive coaches have many tools that they can use to help assess the health of your organization, and analyze those results to come up with a strategic action plan to help improve the results. These assessments vary from personality instruments, to 360°performance reviews, as well as emotional intelligence assessments. The results of these assessments help identify what could be potential barriers in productivity for you and your team. Long-term excellence is the mission for both you and I with your team and company. With that, I am there to help you create, plan, execute and assess your progress on your goals. Effective coaching is about getting you to achieve those goals. As a coach, I drive for results and help you and your team identify meaningful goals, and identify specific behaviors or steps that are going to help you reach them. As a coach, I am there to cheer you on when things get hard. This is where I really believe it’s important to have a coach who embraces peril. When you struggle to reach those goals, and you have barriers and obstacles to overcome. You want a coach who is going to help you get through the murky water and regain clarity. Through embracing peril, your coach helps your team navigate tough times easier. What does an executive coach not do? Executive coaches do not do therapy. Although there is always personal dynamic that mix within the purpose of coaching executives, coaches are not therapists. You want an executive leadership coach who has been there, in your shoes, making the difficult decisions you are making. As a coach who has been there, and after over 15 years of coaching other executives, there is very few problems that I haven’t seen. I engage all of my dynamic experience into every coaching session I have. You have a long-term plan, and you need some help getting you to that in the most strategic way. Look for an executive leadership coach who has implemented and succeeded many strategic initiatives in their own careers. There are a variety of coaching methodologies that all have their pros and cons. The most important part of the methodology is that it works and they can prove it! This should be the most important thing. You can get a feel for the coach when you sit down and meet them. Do they seem like someone who will push you to your potential with a balance of rigor and compassion? Are they kind and humble, yet firm and dedicated to your success? That is the coach you want to pick. As an executive leadership coach, not only do I draw from my experience as an executive, but also from my overall career experience, my education (J.D. MBA) and five years of performing live comedy. My coaching sessions are effective, fun, and will always leave you motivated to take your next step for success. Executive Leadership coaches work with companies and corporations to train them in leadership, they help create strong and healthy organizational cultures, and help increase team collaboration. Want to know what other people say about their experiences with an executive coach? Listen to their inspiring stories here. benefits of leadership coaching business coaching business development coaching Executive Coach executive coaching san diego leadership coaching What does an executive leadership coach do? What is a leadership coach? what is an executive leadership coach? What to look for in a leadership coach what to look for in an executive coach Why do I need a leadership coach? Why do I need an executive coach?